…with Dubrovnik tastes and sincere grandpa’s recommendation! It can only be BOWA Restaurant, hedonistic pearl hidden deep in the magnificent bay of Sipan Island, the biggest island belonging to Elaphite islands, an extended touristic hand of a nearby world famous Dubrovnik city. But let’s get back on cuisine! If you really seek for a native Mediterranean gastronomic experience, you must know that it’s not all about food then. For the true experience, for understanding the philosophy of Mediterranean cuisine, you must be at a place and taste food old as much as the land exists, and the sea that feeds them. 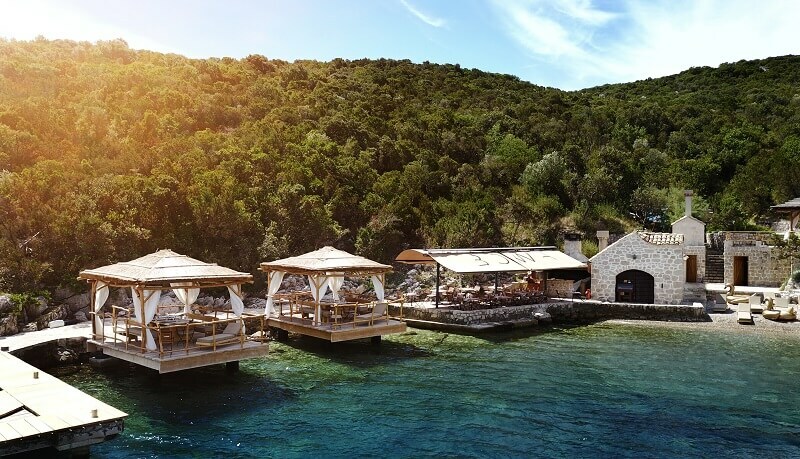 That place you will find in BOWA restaurant, charming hedonism oasis situated in a peaceful bay in Suđurađ, place in the southeastern part of the island of Sipan. Getting there requires a 30-minute boat ride but it’s definitely worth every minute spent on the crystal clear sea. Like the best introduction to a hedonistic experience which will follow. With unique, almost paradise location, views of mountains, Mediterranean forest and the sea, along with always fresh, simple yet extravagant traditional old dishes, BOWA Restaurant is with every right placed on the list of the best restaurants in Croatia that reflects the best domestic atmosphere and true local food. In this case typical of the local environment – Mediterranean with specific Dubrovnik flavors. The menu is changing daily, depending on a catch from the sea, but it’s always a nostalgic tribute to old days, memories of long-lasting summers on Sipan with grandparents. Very traditional, but modern in an exclusive, simple way. So if you really want to experience true Mediterranian cuisine, with all its senses, come on Sipan.